Acer gives us some hands-on time with its new flagship Windows Phone, and we like what we see. For Windows Phone fans, the most wonderful thing about the Acer Liquid Jade Primo is the very fact that you have a choice. And if you’re looking for a phone that simply feels a little more luxurious than the Lumia 950 series from Microsoft, Acer may have the phone for you. Acer’s Liquid Jade Primo reminds me of an Android phone—and that’s not a bad thing. Microsoft’s design aesthetic is what I would call fairly prosaic and straightforward: aside from the wild colors of the Lumias of yesteryear, Microsoft has aimed for a productivity approach. The Liquid Jade Primo has a brushed metal aesthetic with tiny ridges on the back, enough to probably keep you from worrying that it will slip free. It feels solid but comfortable in the hand. I wouldn’t call the Lumia 950 a small phone by any stretch, but the 5.5-inch 1080p display the Jade Primo offers pushes past it and into small phablet territory. The Liquid Jade Primo display dock holds the phone. And oh yes, did I mention that Acer has its own Continuum dock, too? And it’s a nice one, letting the phone slip into the top, like a pocket. 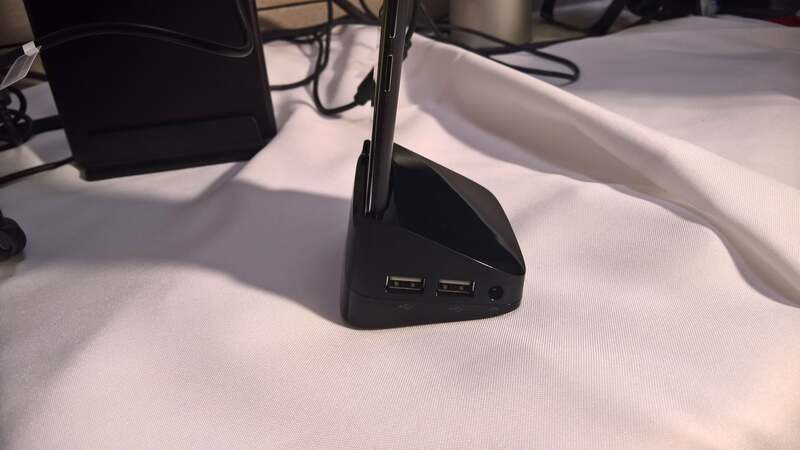 In the demo we saw, the dock connected to the phone via USB-C and then to a USB-C enabled display, as well, although HDMI-out is also included. 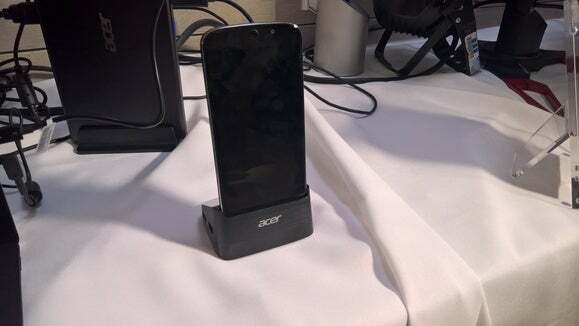 Acer’s Liquid Jade Primo also features a pair of SIM card slots for international use, one of which can be configured as an SD card slot for extra storage. I didn’t have enough time to try and snap any representative pictures with the phone, but the 24-megapixel rear camera tops the Lumia 950’s 20-megapixel camera, at least on paper. Megapixels aren’t always representative of overall image quality, however, so the camera will remain an unknown until we can obtain one for testing. Naturally, the Liquid Jade Primo runs Windows 10 Mobile—which, of course, brings with it its own share of issues. In just the few minutes I had to play with the phone it spontaneously rebooted once, which hopefully was just an anomaly. But with HTC apparently running away from its once auspicious One M8 experiment, Acer’s Liquid Jade Primo provides a viable alternative to Microsoft hardware. It’s been a long time coming. 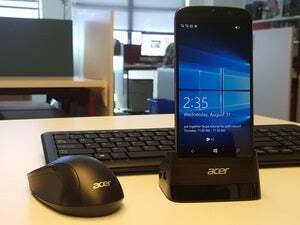 Correction: Acer executives originally told us that Jade Primo plus its dock would be priced less than the $549 Microsoft charges for the Lumia 950. An Acer spokeswoman now says that the "target price" is $649, or the price Microsoft charges for the Lumia 950XL.